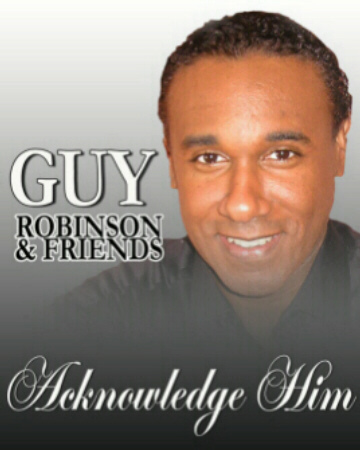 Guy Robinson & A.R.M.I. available for Corporate Events, clubs, fundraisers and parties. Minister C. Guy Robinson is a native of Baltimore, Maryland. He is the eldest of three sons born to the late Carter and Linda Robinson. He spent his formative years at the Simmons Memorial Baptist Church, where his father served as minister of music and his mother directed the church choir. At Simmons, under the spiritual leadership of the late Reverend William King, Minister Robinson came to a saving knowledge of Jesus Christ. Minister Robinson is a 1985 graduate of Baltimore City College Preparatory High School. He received formal music training at Morgan State University and graduated with a Bachelor of Arts degree in Music. As a composer, Minister Robinson’s music has been recorded by numerous gospel music artists, including Bishop T.D. Jakes and the Potter's House Choir, The Edwin Hawkins Music and Arts Seminar Mass Choir, Beverly Crawford, The Wilmington-Chester Mass Choir , The Gospel Music Workshop's Women of Worship, The Full Gospel Baptist Church Fellowship Women's Mass Choir, and Richard Smallwood (Gospel Today Presents Praise & Worship Volume 2 - Live at the Gospel Heritage Conference).